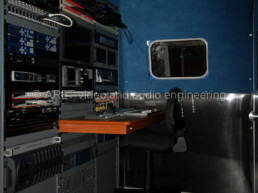 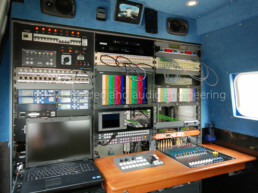 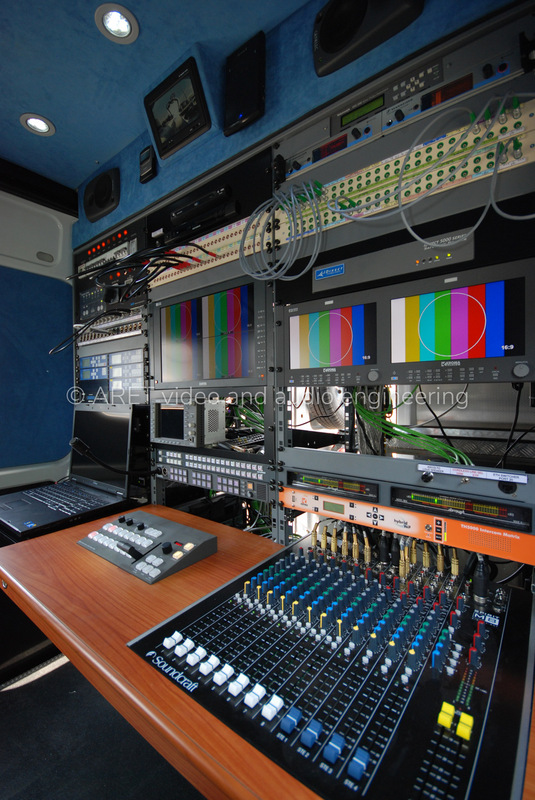 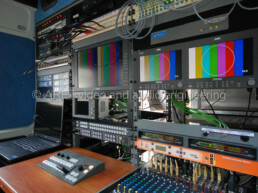 Realized on an IVECO Daily and produced for the national broadcaster, these small DSNG vans are extremely compact and light. 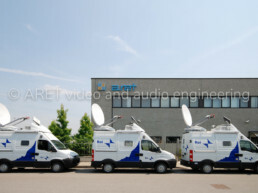 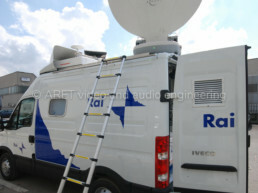 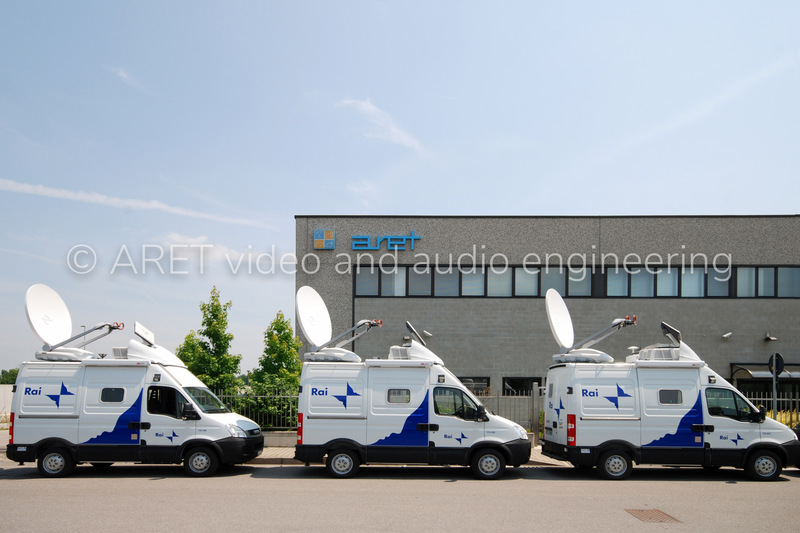 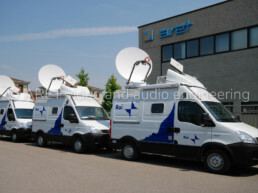 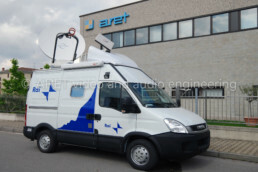 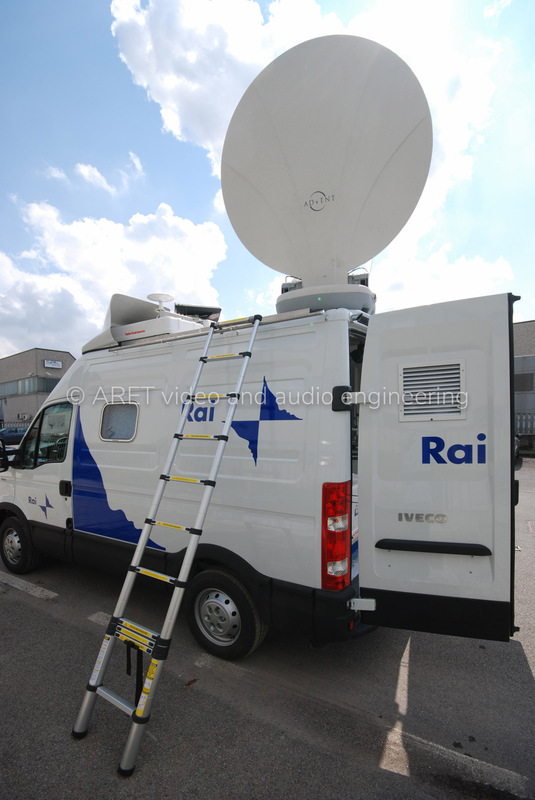 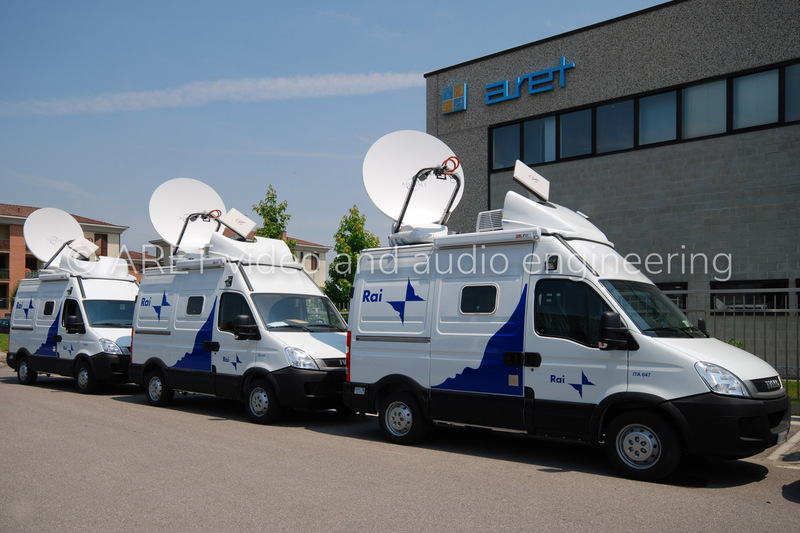 Less than 3.5 tons for a Digital Satellite News Gathering equipped with a 6 kVA diesel generator, a 4 kVA UPS, a wide uplink antenna, satellite and terrestrial antennas, an insulation transformer and a robust cooling system. 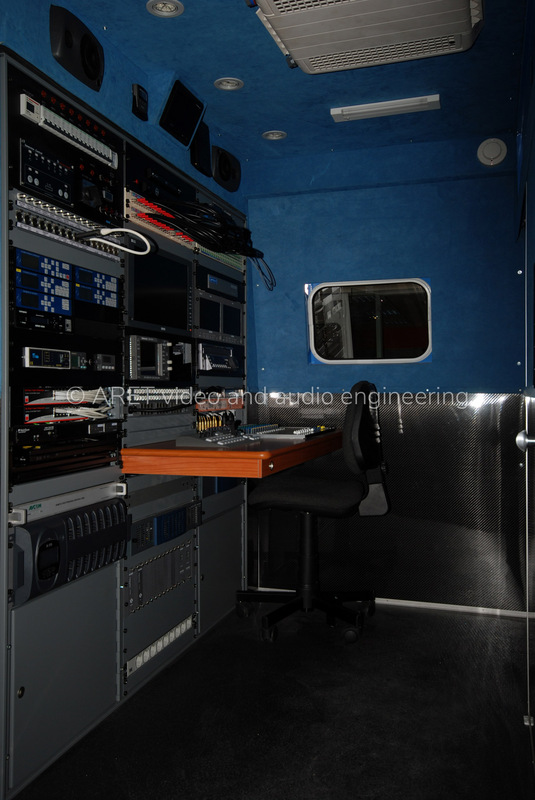 To achieve this incredible results, ARET’s engineers utilized the latest technologies, such as carbon fiber panels. 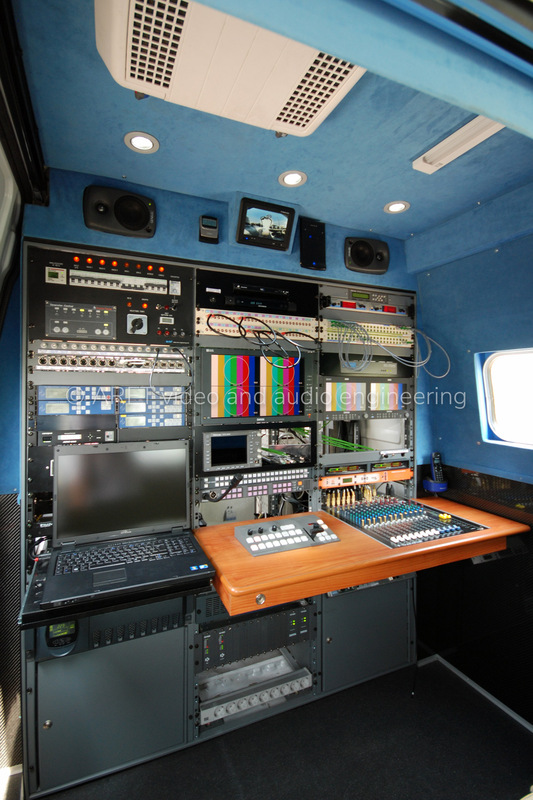 The design team incredibly maximized spaces finding the right weight balance for easy and fast handling.